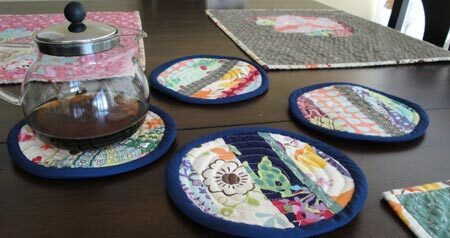 Pretty place mats deserve pretty coasters, so I spent a portion of Thanksgiving weekend sewing up matching patchwork coasters. 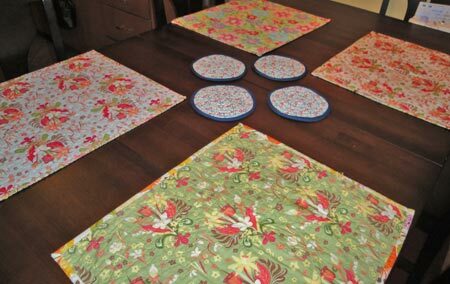 The coasters are large enough to use as trivets and are layered with batting and insulbright so that they can handle hot pans. In a pinch, they can also be used as potholders. I think the coasters aren't much to look at by themselves. 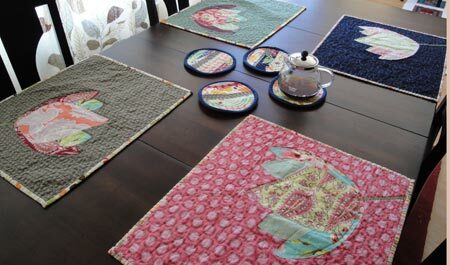 They're a little too random, but with the place mats, they look just fine and coordinate well.